Okay, okay, so I’ve gotten into countless debates with friends, coworkers, followers, and complete strangers about the Alvarez v Golovkin fight that will take place on September 16th, 2017 at the T-Mobile Arena in Las Vegas. Let me first state that you can make a solid argument for either fighter. However this post highlights my top five reasons, in no particular order, for why I believe Canelo Alvarez is going to win the middleweight superfight later this month. 1) Golovkin, while strong, has a bad habit of throwing wild punches, especially when his opponent backs him up against the ropes. This is exactly what you don’t want to do against Alvarez, as he has a knack for finding an opening for a wicked counter punch. And once Alvarez finds a rhythm after a counterpunch, good luck stopping him. Check out this clip of GGG fighting Kell Brook last year, and fast forward to 7:41. As you can see, Brook sneaks in an uppercut, after which Golovkin panics and overextends on his cross, leaving him completely vulnerable to a countershot. Brook didn’t take advantage of this opportunity, but Alvarez has a much higher ring IQ and you better believe that if GGG overextends like that with him, Canelo is going to have him laid out like Deebo in “Friday.” If you need proof, ask Amir Kahn how overextending worked for him against Alvarez in 2016 (fast-forward to 25:25. Also, this is one of my favorite Canelo fights). 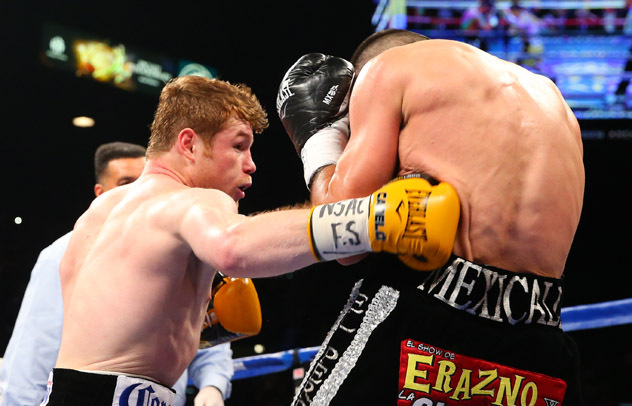 2) Canelo has had a tougher path to this fight, point-blank period. He’s beaten Shane Mosley, Austin Trout, James Kirkland, and Miguel Cotto, just to name a few. Alvarez’ only career loss? Floyd Mayweather in 2013, and even in that fight, he held his own. GGG’s boxing resume is a lot less impressive, with his opponents being boxers like Martin Murray and David Lemieux (look them up, because I know y’all don’t know who they are. No one does. Lol). The point is, GGG has never fought an elite boxer, and the last guy you want to be the guinea pig for this little “let’s find out if I can beat a formidable opponent” experiment is friggin’ Canelo Alvarez. And don’t hop in my comments talking about Willie Monroe Jr., because he is NOT an elite boxer (yet. He will be, but not quite yet). 3) Body shots. Body shots. Body shots. And I’m not talking about drinking a shot of tequila off your roommate’s stomach at a frat party in college. I’m talking about the hits that aren’t glamorous and aren’t going to make it to a highlight reel, but are incredibly important to a fight. Clean, strong punches to a fighter’s sides, stomach, and chest cause major damage, and above all, are EXHAUSTING. This is where Canelo is going to shine, because of Gennady’s somewhat lackluster defense. Because GGG is so strong and can typically withstand a few body shots, he doesn’t seem to see a need to improve his defense. Believe me when I say, Alvarez is going to make him pay dearly for this approach, should he use it (which he will, because I’ve never seen him fight another way). 4) Alvarez’ hand speed is CRAZY. Like insane. Not to say that Golovkin is a sloth, but when compared to Alvarez, he’s getting left in the dust. GGG has a nice same-hand double hook combo that he likes to use, but it’s nothing compared to the hail of landed punches I’ve seen Canelo open up on his opponents. 5) While Canelo usually takes a round or two to find his rhythm, once he gets started he’s at full speed until the end of the fight. GGG on the other hand, also is a bit of a slow starter, but then additionally is pretty inconsistent in regards to levels of energy. 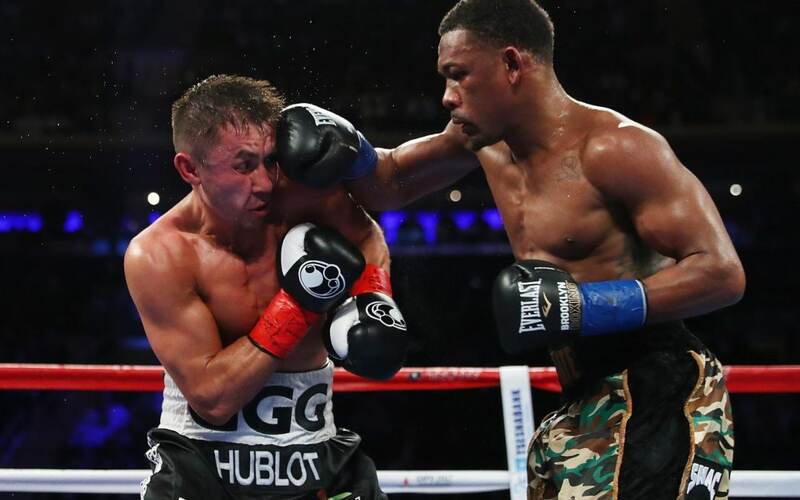 He’ll randomly have rounds where it looks like he’s sleepwalking, which is why Daniel Jacobs beat him (yes, I know the judges’ decision was that GGG won, but if you actually WATCHED that fight, Jacobs beat the brakes off Golovkin and he got robbed by the judges). Act sleepy with Alvarez and he’ll put you to sleep for real (see point #4). So there you have it. Look, I’m not saying GGG can’t win…he very well could. The truth is, these guys are such a good matchup that no one can confidently predict the outcome of this fight. What we DO know for certain is that this is going to be a knockdown drag-out DOGFIGHT, and I can’t wait to see it play out on September 16. Get your popcorn ready, folks. This is gonna be a good one. So I follow you on IG (feel free to follow me back @5ivebelowzero lol) and decided to check out your blog when I saw the Canelo-GGG post. I know I’m weeks late, but I can appreciate that you know more than the average fan about boxing, especially because boxing isn’t what it was in the 80s and 90s (still my #2 favorite sport though). So I figured it couldn’t hurt to respond. Granted, the fight has already occurred (and I believe GGG won, but I’m not upset about the draw, just the 118-110 score), so I will try to pretend it hasn’t yet. 1) I agree that GGG has a tendency to throw wild punches when tagged, but I don’t believe has the power to put him down when he does. GGG has made a living mauling middleweights and his defense (or lack thereof) makes him easy to hit. He’s been hit by several fighters who could feasibly be stronger than Canelo due to their natural size, and yet not once has GGG been seriously hurt. He’s got a chin of granite. Canelo has crazy power at 147 and 154, but I’m not sure it would translate to 160. 2) I will agree that Canelo’s resume is overall better than GGG’s. But one could argue that by the time he faced fighters who were at one point elite, they were over the hill. Canelo fought a way past his prime Mosley, a way past his prime, battered and broken Cotto, and a fringe contender in Trout, who got absolutely destroyed by Lara (who I also believe Canelo lost to, but that’s for another day lol). The only elite fighter that Canelo faced who was still at his peak was Money, and Money made him look childish. GGG, on the other hand, hasn’t fought those with the name recognition of Canelo’s victim, but Lemieux, Murray, and Geale, are solid gatekeepers, if not true contenders, and Jacobs could likely have beaten anyone Canelo has faced outside of Floyd. Canelo’s resume beats GGG’s off the strength of what the fighters used to be, not what they were at the time of the fight. 3) Really don’t have a comeback here lol. Canelo, imo, has the best body attack in boxing right now. 4) Again, no comeback lol. But I will say that Canelo’s hands are definitely faster than GGG’s, but not crazy fast. Khan and his lightening fast hand speed gave Canelo problems until he landed clean and Glass Jaw Khan was out. 5) Also pretty accurate. You could make an argument that Canelo won the first three rounds of the fight, and the last three rounds. I think GGG won every round between, and I also thought he won round 11, which is why I give him the slight nod. Also, I think Jacobs may have edged GGG, but ya know, boxing politics lol. But the fight was close. GGG didn’t just get the brakes beaten off him lmao. Overall, I believe Canelo is the better boxer. Before the fight I said that Canelo is the new Floyd. He’s not losing in Vegas unless you put him down or completely school him. GGG did neither and that’s why it was a draw imo. GGG landed more punches and was more consistent. Had Canelo not taken the middle of half the rounds off, I believe he would have won decisively. But I’m looking forward to the rematch. I think Canelo wins bc he’s a smart fighter and will adjust, but I’m a GGG fan and want to see him undisputed lol. My apologies if the post is too long. I just get excited when I see someone that’s more than a casual fan and seemingly knows what they’re talking about. But have a great one!